Good morning. Last time I have published a post about my graduation from my previous company ("Akhirnya Lulus"). Today I wanna share not my first day, but my first week in my new company. 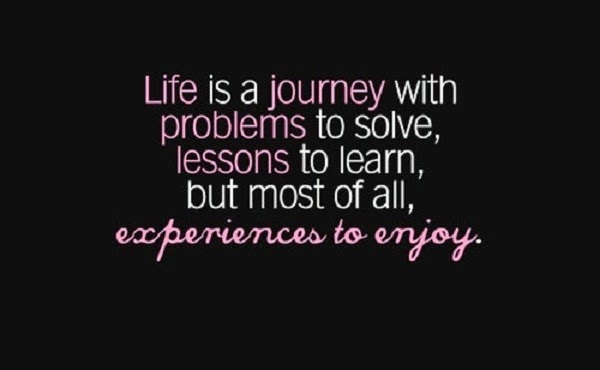 Before I tell you about my experience in the first week, I will tell you more about my new company. Everybody ask me about that, and I told them to see in my LinkedIn. I have updated the information there, and now I will update the information here. My new company is the leading Japanese information and communication technology (ICT) company offering a full range of technology products, solutions and service named "FUJITSU". Approximately 162,000 Fujitsu people support customers in more than 100 countries. Fujitsu use experience and the power of ICT to shape the future of society with our customers. Fujitsu Limited (TSE: 6702) reported consolidated revenues of 4.8 trillion yen (US$46 billion) for the fiscal year ended March 31,2014. Fujitsu strive to be an approachable and global company. Fujitsu corporate logo depicts Fujitsu's infinite possibilities. Like my previous post about my previous company, I always post about company philosophy. In my perspective, it is very important to know and understand them, so we can align our action with the company itself. 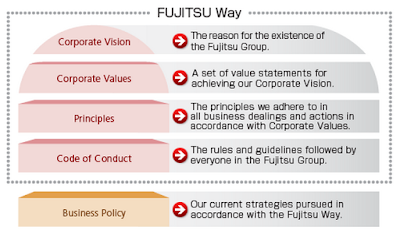 The Fujitsu Way embodies the philosophy of the Fujitsu Group, reason for existence, values and the principles that Fujitsu follow in our daily activities. Through our constant pursuit of Innovation, the Fujitsu Group aims to contribute to the creation of a networked society that is rewarding and secure, bringing about a properous future that fulfills the dreams of people throughout the world. Society and Environment = In all our actions, we protect the environment and contribute to society. Profit and Growth = We strive to meet the expectations of customers, employees and shareholders. Shareholders and Investors = We seek to continuously increase our corporate value. Global Perspective = We think and act from a global perspective. Employees = We respect diversity and support individual growth. Customers = We seek to be their valued and trusted partner. Business Partners = We build mutually beneficial relationships. Technology = We seek to create new value through innovation. Quality = We enhance the reputation of our customers and the reliability of social infrastructure. Global Citizenship = We act as good global citizens, attuned to the needs of society and the environment. Customer-Centric Perspective = We think from the customer's perspective and act with sincerity. 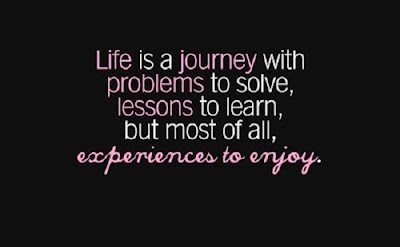 Firsthand Understanding = We act based on a firsthand understanding of the actual situation. Spirit of Challenge = We strive to achieve our highest goals. Speed and Agility = We act flexibly and promptly to achieve our objectives. Teamwork = We share common objectives across organizations, work as a team and act as responsible members of the team. We use Field Innovation to find new approaches and the inspiration to improve ourselves, while delivering added value to our customers. We provide global environmental solutions in all our business areas. Fujitsu Group companies work together to accelerate our global business expansion. It's quite a long story above about my new company, Fujitsu. I wish that Fujitsu give me a chance to proof my self that I'm worth. I am ready and happy to help Fujitsu achieve more than before. In my 1st week I try to know more about this company in global perspective and Indonesia perspective. 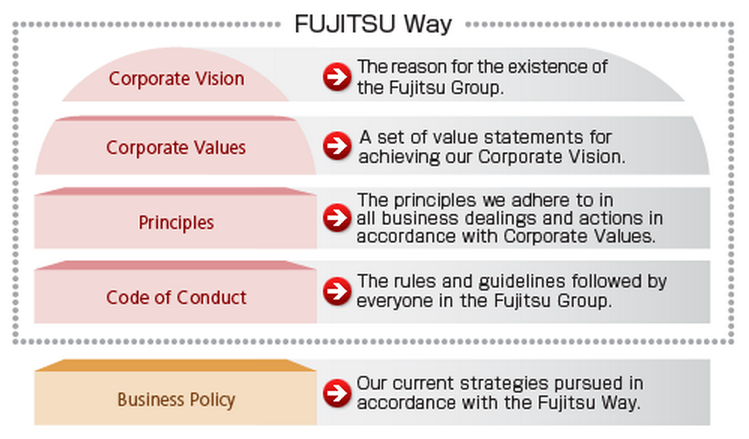 From this first week, I learn that Fujitsu has a strong foundation and methodology. It is very good because most of the ICT project failed because they are not have a strong foundation. In Indonesia perspective, Fujitsu well known as manufacture company, battery, notebook, etc.. But this company not just only offer product, but also solution and services : IT consultant and system integrator. In my job, I sell some of the products and solutions that just I know now, trusted by my new manager. My manager and team are good people with good skills. They are nice and I am not doubt their knowledge and ability. "Think like genius, speak like diplomat, and act like consultant."